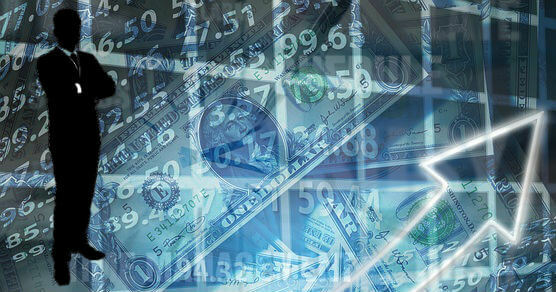 Investing in the stock market requires extensive research into the past performance of the market constituents, news, and other indicators that point to the future of the stock markets. The future can more or less be predicted by a detailed analysis of the underlying factors, but the actual results may not be guaranteed. It is possible for investors and speculators to make an informed decision through educated guesses, which is why stock market investing is considered by experts to be a viable form of investment. Gambling in a casino, on the contrary, depends purely on chance, as it is impossible to predict the outcome. House edge in a casino leads to diminished odds, which also results in an adverse environment for players. The only benefit of playing at a casino is that players get to enjoy the gaming experience, and generally, have a good time with their family or friends. Where do the Similarities Exist? In a stock market, a trader or an investor must perform due evaluation and extensive analysis of the markets to make an informed decision. However, some people jump into the markets without any preparation, in which case, they are gambling with their money. Gambling is defined as wagering on anything with a chance, and if a trader decides to take a chance with the outcome of the price of a stock or an underlying index/exchange, he/she is better off wagering that money at a casino. While preparation and expertise are an essential aspect of stock market investing, successful gamblers use their skills and analytical capabilities to beat the house or other players in a casino. Casino games such as Poker, Blackjack, and other card games involve a tremendous amount of skill, along with excellent money management skills. Therefore, experienced and successful gamblers are often considered as professionals and may be deemed to be the equivalent of successful investors and traders in a stock market. Both industries have their risks and rewards, and it is difficult to make a judgment on which is the safer alternative. However, if you are looking to exercise your analytical prowess and the ability to understand the market, the stock market may be a safer bet for you; but if you are looking to have some fun and get lucky, gambling at an online or local casino is the better option. Investing in the stock markets has built up a negative reputation for being one of the riskiest investment vehicles in the entire world. Some even consider trading the stock markets to be just another form of gambling, as both offer an incredible opportunity to make amazing returns within a short span of time. However, the downside risk is too significant to ignore, but there are some core differences in the underlying concepts of both industries. Is stock market trading the same as gambling in a casino? Which is the safer bet for investors? A stock market is merely a collection of stocks or shares offered by companies to raise capital for their operations. Shares are usually floated in an exchange, where investors can buy them for a particular price and enjoy dividends in the long run. The stock price of companies keeps fluctuating according to their performance in the market, and speculators often use these price movements to make profits from the market fluctuations. On the other hand, changes in the market that are contrary to the investment decisions of a trader can often result in a loss of value of the investments. Gambling is the process of betting on any table or a machine at a casino, where the result is purely based on chance or luck. Companies often attract clients by offering the latest casino bonus for online players, so as to increase the footfall at both their local, as well as online establishments. It is a well-known fact that casinos have a high house edge that tilts the odds in their favor, which is why casinos often win in the long run. Regardless, lucky gamblers do make it big at a casino, where the winnings can reach up to seven, eight, or even up to nine-figure payouts. 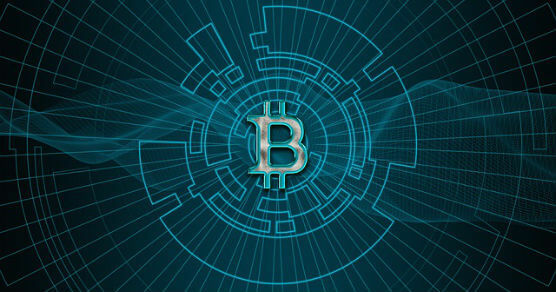 In an increasingly vulnerable world of online transactions that are bombarded with constant external threats, continued security breaches and data thefts are affecting the integrity of cryptocurrency exchanges. The massive surge in the popularity of cryptocurrencies among online users has meant that every data breach is prone to leave investors high and dry, with losses being reported to the tune of millions of dollars. It is currently estimated that more than a third of all cryptocurrency exchanges have been hacked in the past, or are susceptible to security threats in the future, while more than 60% of the new exchanges wind up their business within the first five years of their operations. Don’t Regular Centralized Exchanges Get Hacked Often? Security breaches are not that uncommon in the world of finance, as more than half of the exchanges in the market face attacks on a daily basis. However, the main difference between a centralized exchange and a cryptocurrency exchange is that the former is regulated and controlled by an agency, while the latter is completely unregulated and decentralized. Therefore, a majority of cyber-attacks on centralized exchanges are often neutralized completely, with only a minimal number of breaches contributing to any significant loss of money or an overall drop in the value of the exchange (also known as the market cap). While the lack of any centralized control over cryptocurrency constitutes as the main reason behind the allure of block-chain technology, it does pose a significant threat to investors. For instance, a centralized exchange implements a wide range of security measures and investor insurance to protect investors from any loss of money due to hacks or data breaches. On the contrary, third-party cryptocurrency exchanges don’t have any depositor insurance policies to cover for the damages that happen during a hack, neither do they employ any large-scale encryption technologies or security features to counter the attacks. Most cryptocurrency exchanges are small in stature with a very limited operating budget, which makes it impossible for them to invest the right amount of resources that are required to implement the latest and most advanced security solutions. Cryptocurrencies like bitcoin are indeed highly secure and anonymous, where every individual wallet requires a private key to access the bitcoins. Losing your private key means that you lose access to all the bitcoins in your account, with no option to recover them. However, exchanges are different, as they operate as third-party holding houses, much like banks. Cryptocurrency exchanges operate in a similar manner to a regular e-wallet, where you can convert any currency into a cryptocurrency. Therefore, if you use any of the popular exchanges to buy or sell bitcoins, you do not hold the key to your bitcoins, which leaves you far more exposed to security threats. Cryptocurrencies are incredibly volatile, with some days seeing as much as a 50% move in either direction. Floating the cryptocurrencies in the market without any centralized regulation has led to a massive amount of speculation, where even the minutest of cryptocurrency exchange hacks or other data breaches can have a substantial impact on the underlying value of the entire market. Cryptocurrencies have indeed added value to the way we transact online, but until the market settles down with less volatility and exchanges adopt the best encryption protocols, we would advise investors to exercise due diligence while dealing with cryptocurrencies through a third-party service provider. From the conceptualization of a project to its implementation and the final outcome, companies are prone to encounter some of the most severe and complex issues, which requires the help of capable, talented, and specialized accountants in project management. Project managers spend countless hours on research and analysis of data, in order to gain an edge in the market and increase the company’s overall profitability. Financial accounting and managerial accounting are vast disciplines, where even the minutest of errors can have a massive impact on the ultimate ROI. There are several tools that make life easy for project managers. From paid financial accounting software to Excel programming, these tools can often make a world of difference while analyzing data to make informed decisions. Project managers are also expected to have a thorough understanding of the various accounting principles so that they can generate financial accounts and statements that are in line with the generally accepted rules of accounting. Here are some processes by which accountants can generally analyze accounting data and come up with strategies to maximize the profitability of a project or an organization. The beginning of every project involves the collection of data from both internal and external sources. The data thus collected may consist of both past data and future predictions, which can help accounting managers to have a detailed picture of the requirements of the project. Research and data mining tools are only an integral part of financial accounting, as these kinds of software are not usually covered in the specialized context of financial management. In simple terms, cost-benefit analysis is the evaluation of the business sense of an investment, or to determine if the cost incurred in a project can provide the desired benefits. Cost-benefit analysis, or also termed as cost-effectiveness analysis, enables project managers to make an informed decision based on the facts, rather than to invest in a venture that cannot yield the expected outcome. It also considers other factors such as break-even analysis, consulting costs, and other miscellaneous expenditure over the entire duration of the project. Budget tracking may sound similar to cost-benefit analysis, but it is a totally different concept. While cost-benefit analysis is done before a project manager decides to implement the project, budget tracking is the process of managing the budget and expenses to meet the targets set during the planning phase. A project can involve multiple aspects of dealing with different strategies and courses of action, which means that the accountants or the project manager must stay within the budgetary limits that were set forward during the project planning phase. Financial forecasting is the process of determining the cash flow of a project (both inflow and outflow), which provides a clear picture of the feasibility of the project. It takes into account the future income of the project in the form of sales and revenue, but the data acquired need not be accurate or representative of the actual figures. Financial forecasting is the trickiest part of project management, as the figures may not tally up during the course of the project implementation. Hence, the results and ROI can be drastically different than originally anticipated. Financial accounting is an important aspect of project management. It is indeed the responsibility of the project manager to properly evaluate all the options and use the best software and tools to make a viable investment decision. It is not a secret to anybody that newest technologies have changed the way we live, the way we work and even the way we do everyday regular tasks we were used to do in a more complicated way. Indeed, their main job is to simplify our life and it is for sure that they do it quite wonderfully. This is how different asset management software products also helped us – they made it easier for a business to manage so ordinary, but so many and difficult tasks in the office, in the manufacturing sector, in the store…Today, we will try to explain you how these kinds of products can boost our business management. Find out more about the best and most awesome benefits to consider, when it comes to asset management software. 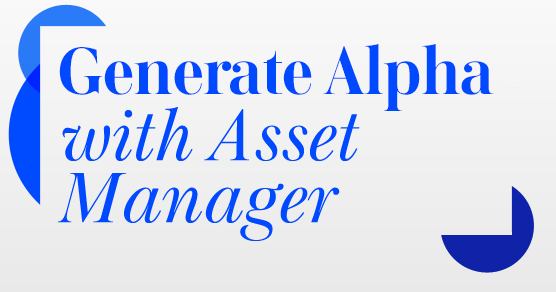 What is asset management software anyway? To understand all the pros behind an ordinary asset management software product, we need to understand at first how it usually works. As software designed for business units mainly, such software does – on its own – most of our office hard tasks like little accounting, sorting regular operations depending on the field you are working in (for instance, productions, resources and purchases), managing the whole cycle of business processes and etc. Using asset management software is like having an extra team in each of your department, which team eliminates the delays and makes it possible for all workers to directly focus on their main chores without being pressed by time or complications in some mechanical job. What are the main benefits of using asset management software? Making savings from your ordinary expenses fund is the first thing you will feel after using such software. Even if you install paid software, your investment will be worth it and you will soon get the compensation for the payment. Higher working capacity and productivity. People do mistakes and sometimes a technology is needed to overcome little errors that might become too catastrophic for your overall business. Time management and time saving, though, are the best pros you will get if you start using asset management software. Some of the procedures your departments execute in days can be done for less than a minute thanks to such a product. Control with no screaming or harsh discipline can be also established in some of the departments thanks to the software. Good risk management and warranty coverage – if you use such software forget about analyzing the risk for hours or weeks. These products do it quite faster and more efficiently. Lower costs on IT support in your business will come after establishment of general asset management software in your company or firm. Do not hesitate to find asset management software that will work for you and do great jobs with your commercial or manufacturing field of job! Revenues rose up to $243.0 million, up $1.5 million, or 0.6%,versus $241.5 million in the preceding quarter, driven by growth in sales of datacom products, partially offset by lower telecom product sales. As compared to the previous quarter, the sale of products for datacom applications surged, by $5.1 million, or 4.0%, and the sale of products for telecom applications plunged by $3.7 million, or (3.3)%. Gross margin was comparatively unmoved from the previous quarter at 29.3% on a GAAP basis and 31.8% on a non-GAAP basis. GAAP operating income rose up $2.5 million to $11.3 million, or 4.7% of revenues, versus to $8.8 million, or 3.7% of revenues in the preceding quarter. 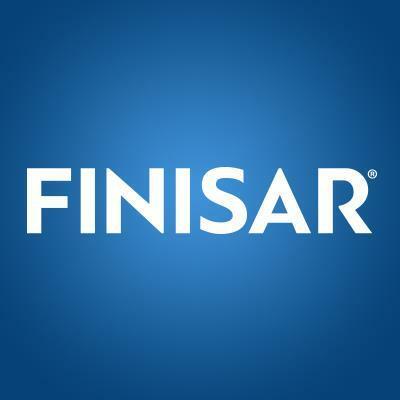 Finisar Corporation (NASDAQ:FNSR) witnessed volume of 6.42 million shares during last trade however it holds an average trading capacity of 2.38 million shares. FNSR shares opened at $21.79 reached intraday low of $20.25 and went -6.88% down to close at $20.29. FNSR shares price distanced by -8.59% from 20 days average, +2.94% from SMA50 and +7.73% from SMA200. Similarly, the shares performance calculated for a week provided negative result of -8.31%, 1.81% for a month and Year-to-Date performance was 21.13%. The company has an Enterprise Value of $1.66 billion where in most recent quarter it had a total cash in hand amounted to $228.04 million with a 8.03 book value per share. The beta value of 2.77 signifies to the movement of price with the market condition. The percentage of holdings by the insider in FNSR is 1.68%. Its past twelve months increase in return from assets was 6.24%, return on equity remained 8.88% and return on investments reached 7.68%. The net profit margin in last 12 months grew up to 5.31% and in most recent quarter debt to equity of 0.06 giving a view of company’s no reliance on taking loans. The Company in past 12 months achieved Gross Profit of $312.27 million where the year to year quarterly revenue growth was 0.23% and Net Income Available to Shareholders reached to $51.53 million with the diluted EPS of 0.56. Royal Bank of Canada (USA) (NYSE:RY) witnessed volume of 644,031 million shares during last trade however it holds an average trading capacity of 1.12 million shares. RY shares opened at $47.54 reached intraday low of $46.80 and went +0.92% up to close at $47.23. RY shares price distanced by +2.54% from 20 days average, -2.54% from SMA50 and -13.92% from SMA200. Similarly, the shares performance calculated for a week provided positive result of 3.83%, -1.99% for a month and Year-to-Date performance was -7.28%. The company has an Enterprise Value of -$140.01 billion where in most recent quarter it had a total cash in hand amounted to $344.55 billion with a 24.41 book value per share. The beta value of 1.27 signifies to the movement of price with the market condition. Its past twelve months increase in return from assets was 0.86%, and return on equity remained 15.49%. The net profit margin in last 12 months grew up to 21.78% and in most recent quarter debt to equity of -1.24 giving a view of company’s reliance on taking loans. The Company’s year to year quarterly revenue growth was 10.30% and Net Income Available to Shareholders reached to $5.59 billion with the diluted EPS of 2.83. 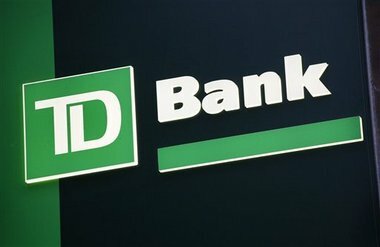 Toronto-Dominion Bank (USA) (NYSE:TD) witnessed volume of 537,453 shares during last trade however it holds an average trading capacity of 950,969 shares. TD shares opened at $74.04 reached intraday low of $73.27 and went +1.58% positive to close at $74.15. TD shares price distanced by +4.32% from 20 days average, +0.78% from SMA50 and -6.26% from SMA200. Similarly, the shares performance calculated for a week provided positive result of 5.30%, -1.93% for a month and Year-to-Date performance was 3.16%. The company has an Enterprise Value of -$36.52 billion where in most recent quarter it had a total cash in hand amounted to $201.98 billion with a 44.42 book value per share. The beta value of 1.34 signifies to the movement of price with the market condition. Its past twelve months increase in return from assets was 0.82%, and return on equity remained 13.20%. The net profit margin in last 12 months grew up to 24.80% and in most recent quarter debt to equity of -2.32 giving a view of company’s no reliance on taking loans. The Company’s year to year quarterly revenue growth was 12.90% and Net Income Available to Shareholders reached to $5.09 billion with the diluted EPS of 5.74. 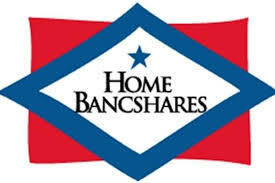 Home BancShares, Inc. (NASDAQ:HOMB) witnessed volume of 110,605.00 shares during last trade however it holds an average trading capacity of 110,409.00 shares. HOMB shares opened at $21.68 reached intraday low of $21.44 and went +3.76% up to close at $22.08. HOMB shares price distanced by +2.16% from 20 days average, -1.48% from SMA50 and -1.99% from SMA200. Similarly, the shares performance calculated for a week provided positive result of 8.02%, 0.00% for a month and Year-to-Date performance was 1.05%. The company has an Enterprise Value of $579.19 million where in most recent quarter it had a total cash in hand amounted to $287.47 million with a 15.96 book value per share. The beta value of 0.61 signifies to the movement of price with the market condition. The percentage of holdings by the insider in HOMB is 11.55%. Its past twelve months increase in return from assets was 0.65% and return on equity remained 4.33%. The net profit margin in last 12 months grew up to 11.40% and in most recent quarter debt to equity of 0.22 giving a view of company’s reliance on taking loans. The Company’s year to year quarterly revenue growth was 18.89% and Net Income Available to Shareholders reached to $19.33 million with the diluted EPS of 0.67. 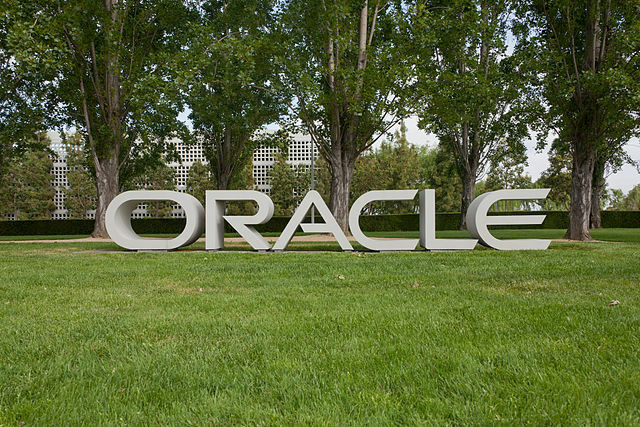 Oracle Corporation (NASDAQ:ORCL) witnessed volume of 30.30 million shares during last trade however it holds an average trading capacity of 44.55 million shares. ORCL shares opened at $27.23 reached intraday low of $26.78 and went -3.14% down to close at $26.97. ORCL shares price distanced by +0.19% from 20 days average, -9.91% from SMA50 and -14.56% from SMA200. Similarly, the shares performance calculated for a week provided positive result of 1.20%, -6.61% for a month and Year-to-Date performance was -13.39%. The company has an Enterprise Value of $123.69 billion where in most recent quarter it had a total cash in hand amounted to $28.85 billion with a 7.85 book value per share. The beta value of 1.14 signifies to the movement of price with the market condition. 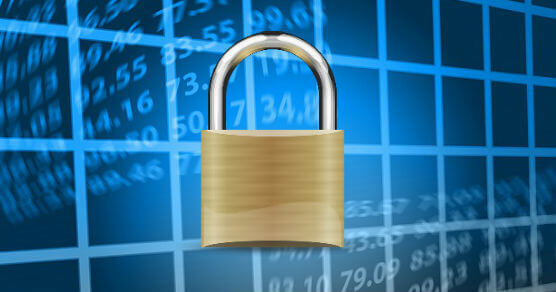 The percentage of holdings by the insider in ORCL is 21.91%.